The report details an exhaustive account of the global cell line development market along with numerous associated factors. Some of these factors that are included in the report are drivers, restraints, competitive analysis, latest trends and opportunities, geographical outlook, and many other aspects. The study covered in the report spans a forecast period from 2018 to 2028. From an overall perspective, the report is expected to exist as a valuable insight to businesses which are already operating in the global cell line development market, as well for those who intend to newly establish themselves in this environment. 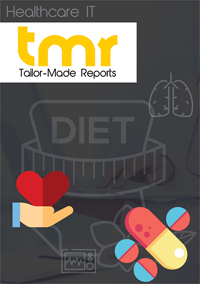 Rising prevalence of chronic diseases such as cancer in developed as well as developing countries is anticipated to boost the global cell line development market. This is mainly due to the fact that cell line development forms a key part of most treatments provided against major chronic diseases. A dramatic increase in cancer cases in North America, Asia Pacific, and Europe, also has triggered the need for quality cell development processes. This is a prime factor responsible for driving the global cell line development market. In addition, rampant developments occurring in biotechnological sectors also is increasing the quality of cell line development processes, consequently fueling the market’s growth. With rising geriatric population, the number of cases wherein chronic diseases could prevail is predicted to rise, thus pushing towards a higher demand for relevant vaccines. This factor too is tremendously boosting growth in the global cell line development market. Favorable government initiatives for improving healthcare sector will further accelerate growth of cell line development industry. However, high costs of deploying actions associated with cell line development processes are majorly hindering the market’s expansion. This is mainly due to the fact that such expenses might translate into costly end treatments. Such costs could lead towards an insufficiency of capital for small businesses and those having less disposable incomes. Moreover, cell line development depicts a substantial shortage in remote and underdeveloped regions, thereby restraining the global cell line development market from a geographical perspective. However, with cost regulation of treatments, most restraints are expected to be nullified soon. This market is majorly concentrated in North America, Asia Pacific, the Middle East and Africa, Europe, and Latin America. Of these, maximum presence of the market occurs in North America owing to a strong healthcare industry in this region. North America gained splendid revenue in this market in recent times, and is further expected to maintain its position during the forecast period. Presence of local well-known market players coupled with healthy initiatives carried out by governments in this region encourage development of cell line development processes. These are major factors that are projected to make the global cell line development market to witness extensive growth in this region. GE Healthcare, Thermo Fisher Scientific, Lonza Group, Sigma-Aldrich Corporation, Wuxi AppTec, Sartorius Stedim Biotech, Corning, Selexis, Vista Biologics, EuBiologics, Paragon Bioservices, Cobra Biologics, Patheon, Samsung Biologics, Epistem Holdings, Catalent, Bioceros, Abzena, Promocell, and Cyagen, are key players operating in the global cell line development market. Most players are focusing on improving their product qualities, facilitating more product launches, and participating in merger and acquisitions and partnerships are key strategies implemented by most players in the global cell line development market. Many businesses are also expanding their product portfolios, along with improving their geographical reach. With the number of players increasing in this market, the competitive intensity is expected to witness a tremendous surge in the near future.